A headset that costs this much can't afford any slips. But reputable companies do make their own gaming headsets. I decided to investigate if these would be any better than the offerings from companies like Logitech, Corsair, and Razer. In this first round of examination, I looked at the Sennheiser’s latest Game Zero and GSP 350 models, and Audio-Technica’s ATH-AG1X. Of them, the ATH-AG1X is the most expensive, at an astronomical $300. For that price, you can get wireless headphones, but this particular set of cans is fully wired. And unfortunately, it’s not quite able to justify its price. The name “ATH-AG1X” befits a spaceship, and so Audio-Technica’s design is suitably futuristic. 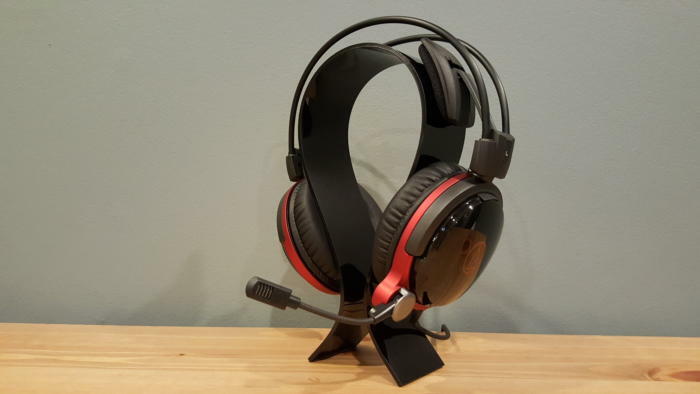 While floating headbands are pretty common among gaming headsets, the AG1X has no headband. At all. Instead it has what Audio-Technica refers to as “wings,” two flaps that fold in from the sides and rest against your head. Audio-Technica does use this design for other headsets—you’ll find it on the company’s 700X and 900X models. And so the AG1X has some of the same issues as its predecessors: It just seems loose. Whether that’s actually the case is hard to say. I experienced minimal movement when I put the AG1X on, moved my head back and forth, and tilted forward and back. That suggests the AG1X fits tighter than I think. But it did tend to slip down and rest on the tops of my ears after 15 to 20 minutes, forcing me to constantly adjust the headset back upwards. I also found myself continually worrying about it. The very system meant to alleviate pressure and make me more forget I was wearing the headset did exactly the opposite. I was preoccupied with what the headset was doing at any given moment. Many 700X and 900X owners have modified the wings with a rubber band to give it a snugger fit—it’s a hack to look into, if you’re planning to buy the AG1X. I have a fairly large head and still felt like I needed the mod. I’ll give Audio-Technica credit, though. The AG1X has the lightest fit I’ve ever felt from a headset—even lighter than the original HyperX Cloud. If you can get the tension dialed in properly and eliminate concerns about slippage, it’d no doubt be extremely comfortable for hours on end. Even for people who wear glasses. As for the rest of the design, it’s slick. 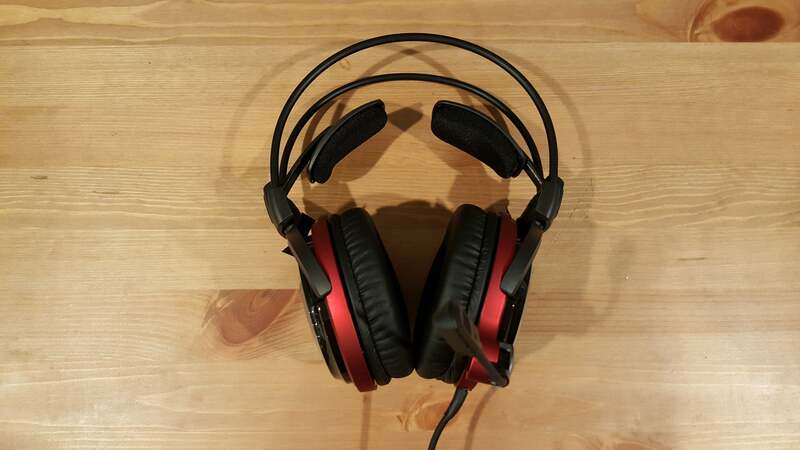 It uses the gamer-standard red-and-black color scheme, and branding is minimal (just a single Audio-Technica logo on each ear). The microphone isn’t detachable, but it’s slinky and bendable, and thus less conspicuous than those on some other models. You can sort of hide it against the left earcup. The AG1X’s one fatal design flaw is the cable. It’s stiff, with a cheap-feeling inline control box that has a mic on/off slider and one of those microscopic volume wheels tucked on the side. Worse, the cable isn’t detachable, and it terminates on the headset end in a small, stiff, and seemingly very breakable nub. I’ve become increasingly skeptical of non-detachable headset cables over the years, and the AG1X is a prime example of why: If anything dies here, it’s going to be the cable. In the box you’ll also find a 3.5mm cable splitter for separate headphone/microphone ports, as well as a combination pop filter/wind screen for the microphone. Although rated for 50 ohms impedance, same as Sennheiser’s Game Zero headset, the AG1X is quiet. For the sake of fairness, I tested those two headsets from my on-board audio and through Sennheiser’s GSX1000 DAC, and in both cases I found that I had to crank the AG1X’s volume way up to match the Game Zero’s output. You’ll want to crank the AG1X up anyway, though. At lower volumes the headset is mediocre at best, with a weird hollowness in the sound. It’s as if you were hearing everything through a closet door. After extensive testing, I’ve concluded that because the AG1X has a broad soundstage, (especially for a closed-back headset), it needs audio to properly fill it. That’s why it sounds hollow at lower volume. Crank it up into the 20- to 30-percent range and the sound starts to fill out, leaving you with a much richer tone. Whether it’s $300 worth of tone? That’s a hard call. The AG1X is a treble-rich headset, a bit too telephone-like for my tastes. Unlike the Sennheiser headsets we looked at, however, the lack of bass out-of-the-box isn’t easily fixable. Messing around with EQ settings to add more bass just results in muddy and unpleasant audio. This is problematic for games in particular. Even after playing around with a 7-band EQ, I couldn’t get explosions to sound both crisp and powerful through the AG1X. Crisp or powerful, sure, but it was a choice of not enough bass or an overpowering bass with no nuance. Music suffers even more—an important consideration, given the price of this headset. I assume most people will use a headset for more than just gaming. On the AG1X, some tracks (especially quiet acoustic pieces) sound great. The wide sound stage lets every instrument reside properly in its own space, while the headset’s emphasis on mid-range frequencies gives each melody an excellent clarity. Voices sound particularly sharp. Anything heavier breaks down, though, becoming a mess of distorted guitars, muddy drum hits, and weak bass lines. It’s not a bad headset per se. 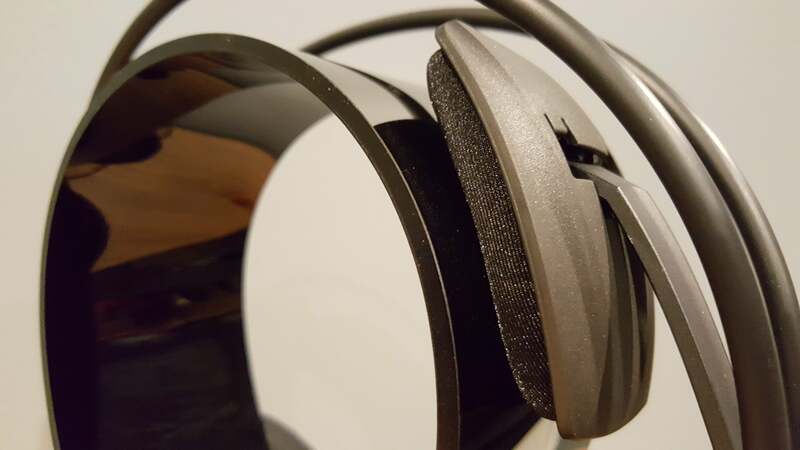 The AG1X’s audio is more what I’d expect from a $120 to $150 headset, and not one of the most expensive wired gaming headsets we’ve ever reviewed. Audio-Technica’s own ATH-M50X retails for $150, and it offers livelier and cleaner audio than the twice-as-expensive AG1X. The AG1X’s microphone is also a disappointment at this price. Again, it’s quite telephone-like—very heavy on those mid-range frequencies. It lacks the richness of bass and treble tones you’d expect from a quality microphone. It’s better than some of the lower-end headsets we’ve looked at, for sure. But for $300, the AG1X disappoints, especially when put head-to-head with the Game Zero and its microphone’s excellent tone reproduction. 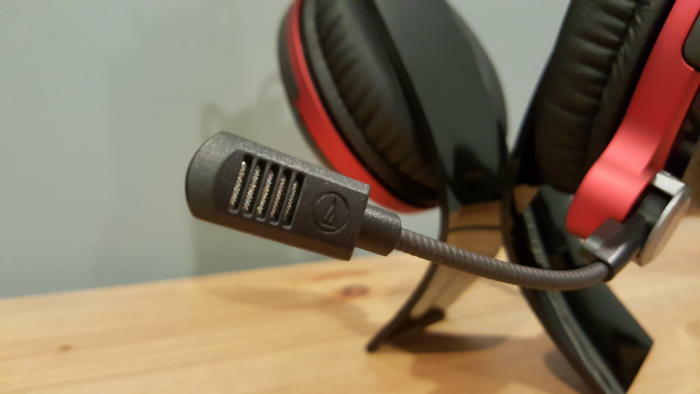 The AG1X truly isn’t a bad headset. I want to stress that fact. If you jumped from a $50 no-name headset to the AG1X, you’d be happy with the change. The AG1X’s price is what works against it. 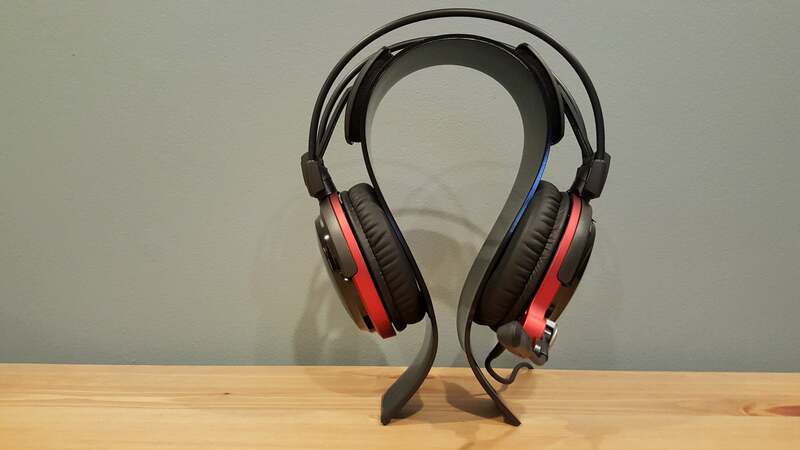 We looked at it because people so commonly complain about overpriced gaming-centric headsets. Without incredible quality to justify its price, the AG1X just reinforces that gripe. Better Audio-Technica headphones exist, complete with the futuristic “wings” design, and there are better non-gaming-company headsets (like those from Sennheiser) that you can turn to as alternatives. 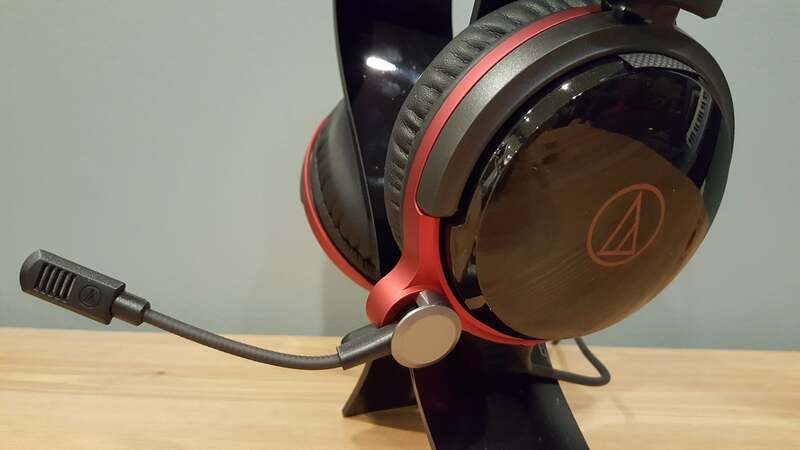 Audio-Technica's ATH-AG1X isn't a bad headset per se, but its cost far outweighs its quality. The loose fit of its unique design may also leave you annoyed.